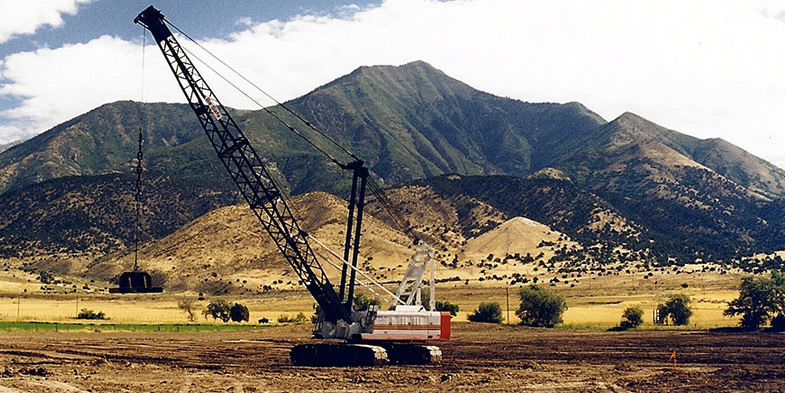 is a nation-wide geotechnical contracting firm, specializing in dynamic compaction. Founded in 1994, our mission is to provide property owners and developers with an attractive construction alternative when poor soils or questionable fills are encountered. At the same time, we aim to provide geotechnical consultants with a personal and practical link to project owners. We have a specialized knowledge of the dynamic compaction process gained from decades of experience on over 700 projects throughout the United States and, more recently, the world. Combined with decades of experience in the geotechnical consulting industry, the management at Densification, Inc. is well-versed on how to successfully complete projects on poor soils sites. Over the past 30 years, our management has developed a deep understanding that real success in the construction industry is based on strong personal relationships. As a result, you will find that having Densification, Inc. as part of your team will bring added value to any project. Densification, Inc. was featured in an April 2010 episode of the Discovery Channel’s “What a Tool” television show. Check out the various items that were destroyed by our pounders!